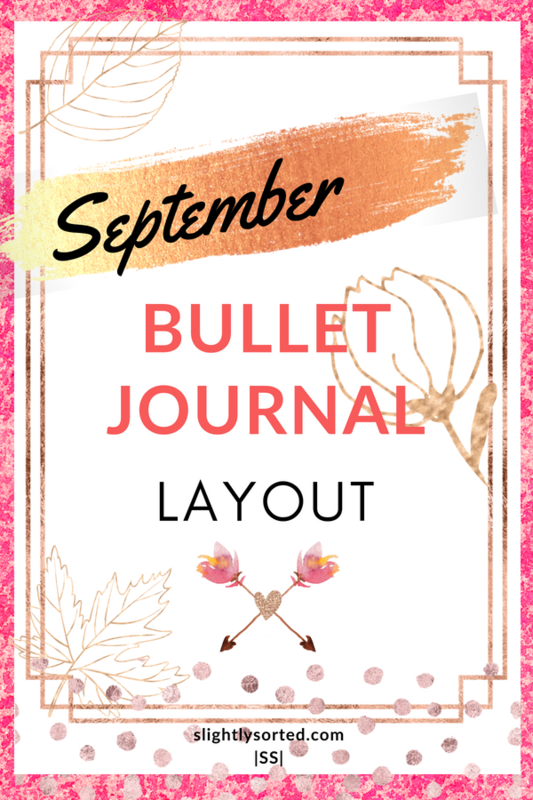 As you may have guessed from the title, this post is all about my September bullet journal layout! I’m rather premature, as I would normally tend to leave it until around the 28th of the month to set up my next spread. However, with a manic couple of week’s ahead and a jam-packed September planned, I wanted to get everything organized a bit earlier than usual. The biggest thing happening for me next month is that my daughter is starting school. 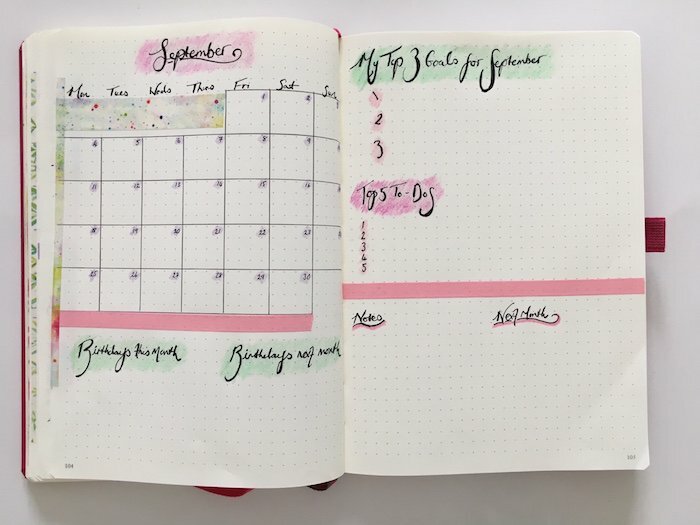 It’s made me so emotional, and there’s loads to plan and organize, so I wanted to get my September bullet journal layout in place to help me feel a bit more on top of things! 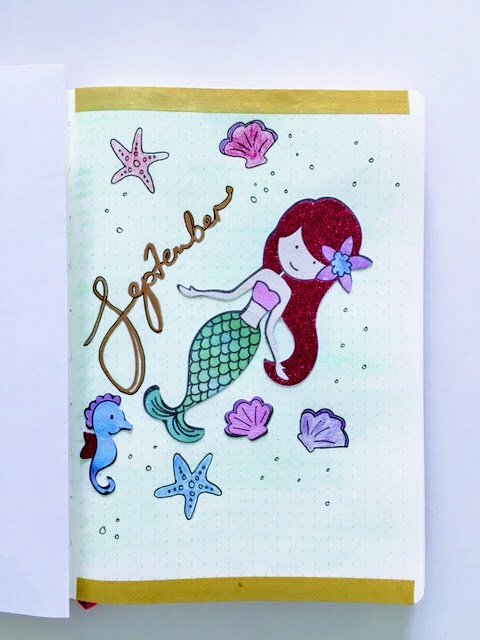 I like to include a title page for the start of the month, and for September I decided to go with a mermaid theme! 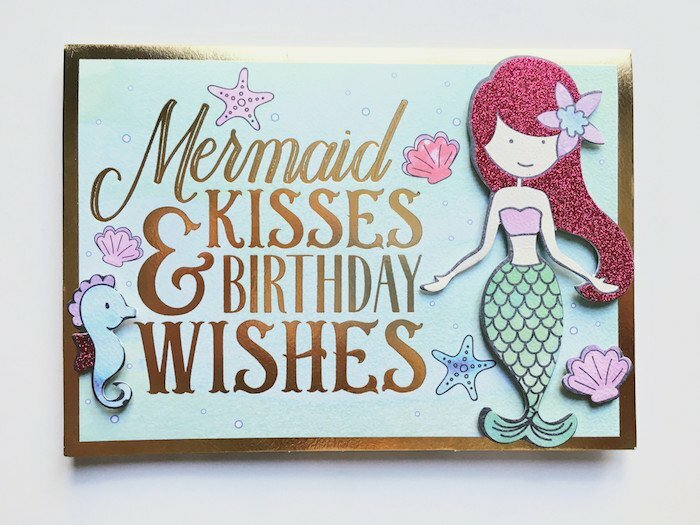 This is partly because my daughter is obsessed with mermaids, so we have a lot of mermaid stuff around the place, and partly because I was inspired by a birthday card that she received last month… so pretty! Rather than copying parts of the design, which was my original plan, I decided to actually cut parts from the card to make a part-collage/part-drawing. Something I’ve not done before, but I think it worked out really nicely in the end! I shaded in the background on the page using my sea-green and blue colored Prismacolor pencils and blender – I love using the pencils and blender together for a beautiful soft effect. Then I just drew in a few seashells and starfish of my own, and stuck Miss Mermaid on for the centrepiece! To finish it off I just wrote the month on using a gold Sharpie and black pigma pen, and topped it all off with a gold washi tape border at the top and bottom. And I have to say I’m rather pleased with it! What do you think? I went for a really simple monthly overview for September, since I don’t think I’ll have as much time as I usually do to spend with my bullet journal! I used a grid layout for the calendar, which I find easier to process than other layouts for some reason (is that just me?). Under that I have a space for birthdays this month and next, which I always use and find really helpful since I have a memory like a sieve, then on the opposite page I have my goals and to-dos, which I have yet to fill in. Under that there’s a small space for notes, and I always like to include an area for the most important things coming up in the following month. I’m pretty happy with this, but I kind of wish I’d spent a bit more time on the main headings, especially on the ‘Goals’ section. Still, I always have to remind myself that there’s no place for perfectionism in bullet journaling! Last month I included a vertical dutch-door in between my calendar and ‘to do’ page, on which I had space for additional notes about various appointments, and a section for ‘self-care’. I’ve now tried the ‘self-care’ section on three occassions, and only once actually written something on it (bad! Must try harder! ), so I decided to let it go for this month! I want to try harder to look after myself though, and found this great post for ideas. 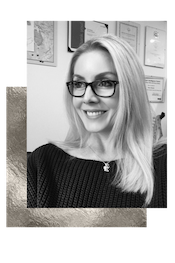 I plan to refer back to it when I make my October layout – hopefully things will be a little less hectic then and I can try to carve out some ‘me time’! So that’s it guys, just a quick over-view of my very simple layout for the month ahead. What do you think? 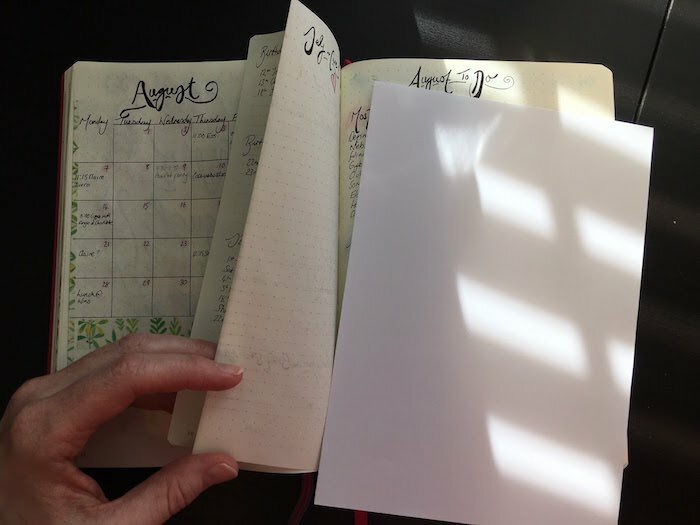 Are you going for something scaled-back and simple for this month, or introducing a bit more into your bullet journal? P.S. 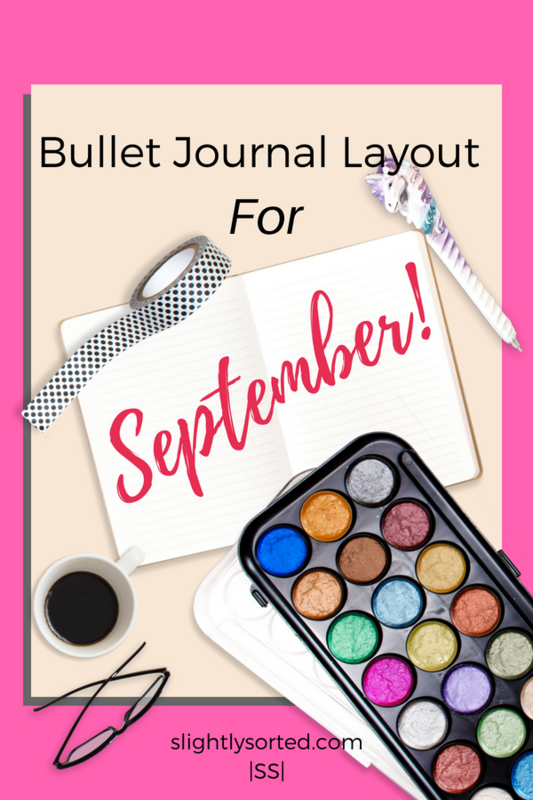 If you fancy treating yourself this month then you can check out my favorite bullet journal supplies here (or here if you’re in the UK)! 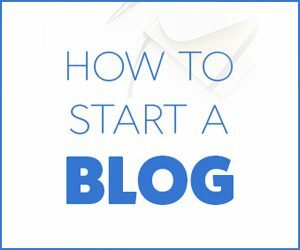 And there are tons of other bullet journaling posts including my beginner’s series here – enjoy! Previous Post Interior Design and Decorating Tips For Those On A Shoestring Budget! 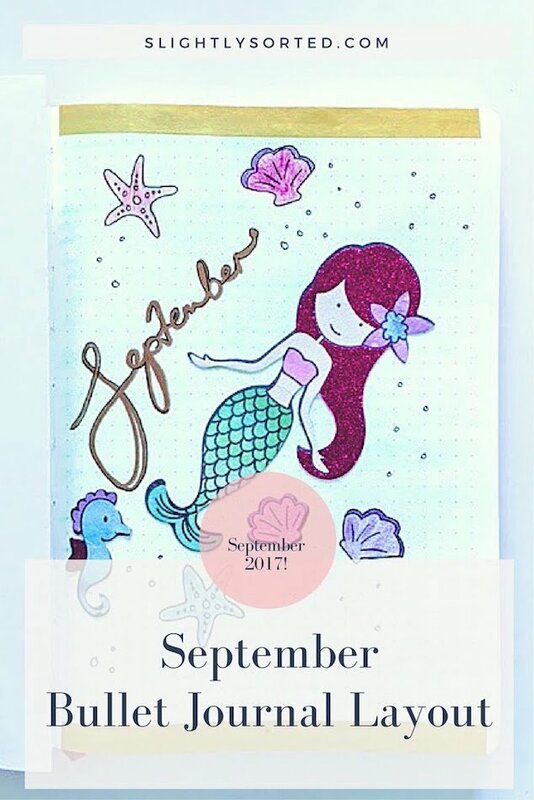 I did a mermaid theme for my bullet journal as well! I can totally relate to not being very good with the self-care lol. Love to see how it turned out! Thanks Maggie – hope you can improve on your self care too! !